Return again with us to the city plane of Ravnica for the final showdown with Magic’s most powerful bad guy, Nicol Bolas, at the War of the Spark Pre-Release – April 27th and 28th, 2019. 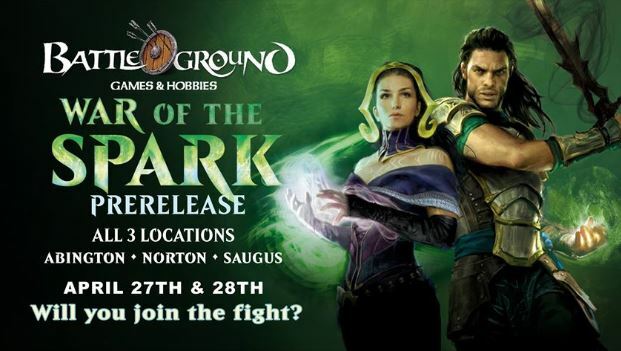 Each of the three stores will have 5 War of the Spark Prerelease events for players to attend on the weekend of April 27th and 28th. For the ABINGTON event schedule, please click here. For the NORTON event schedule, please click here. For the SAUGUS event schedule, please click here. And don’t forget! Battleground is able to sell full booster boxes of War of the Spark a week early, on the Prerelease weekend! 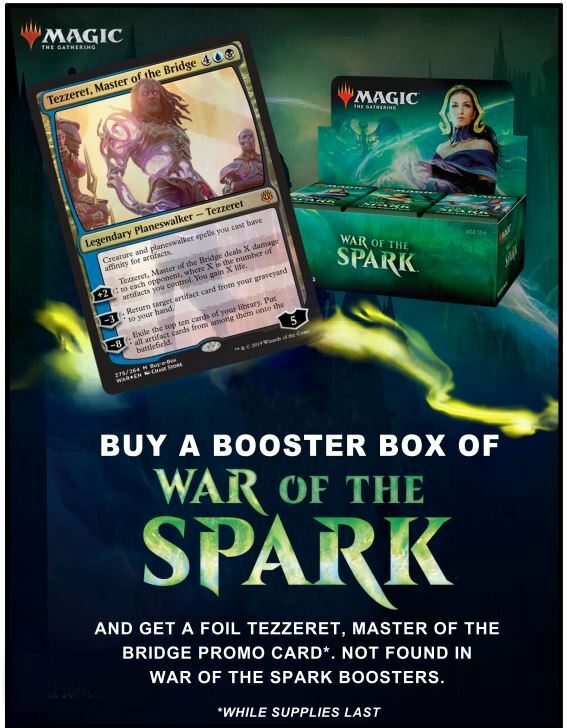 While supplies last, customers who buy a box of War of the Spark will receive a promo Tezzeret, Master of the Bridge, which is not found in booster packs, totally free!